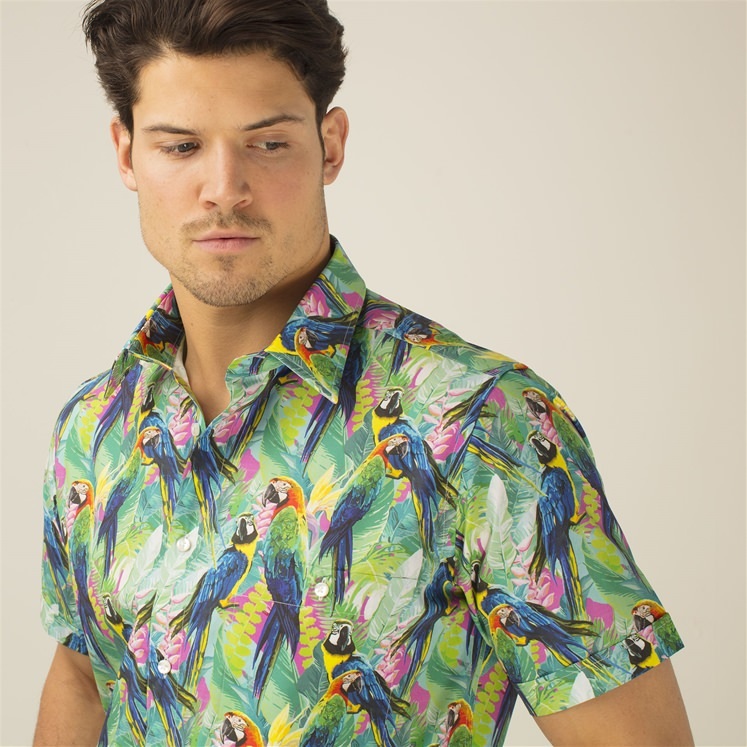 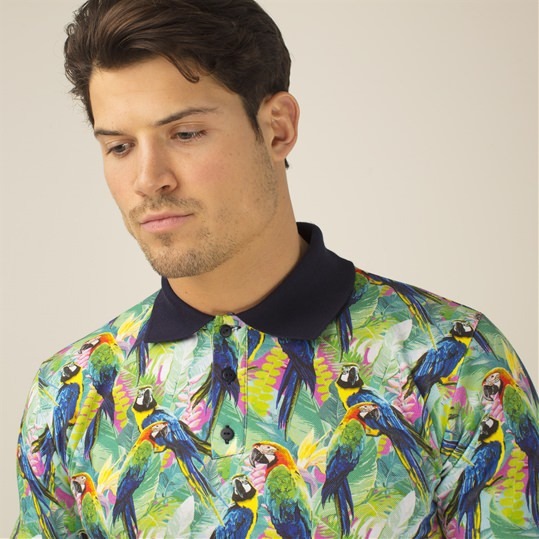 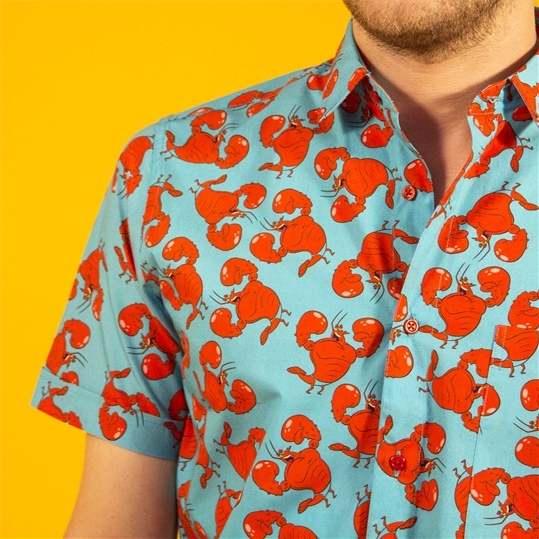 Vibrant mens short sleeved patterned Parrots Shirt from our latest collection. 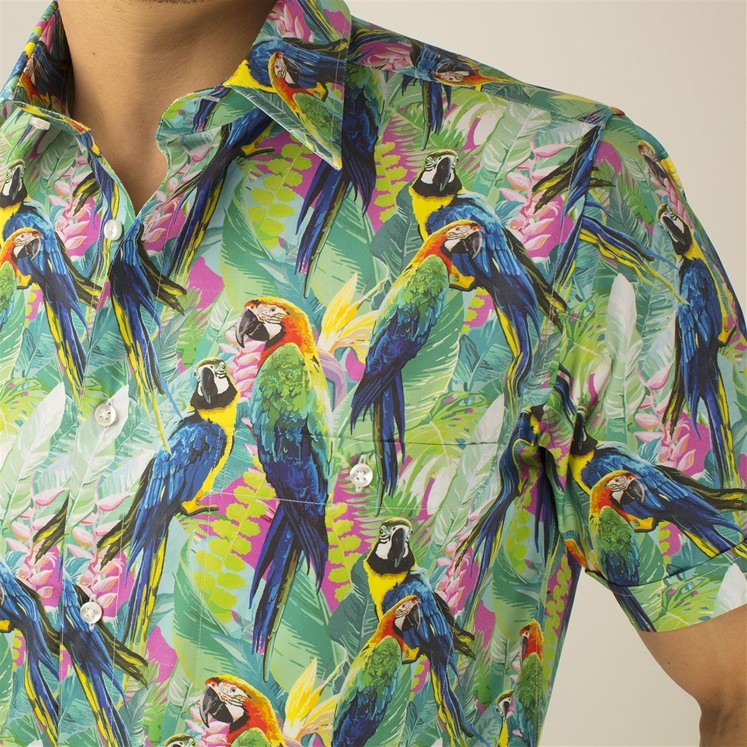 Celebrating 20 years of Gresham Blake. 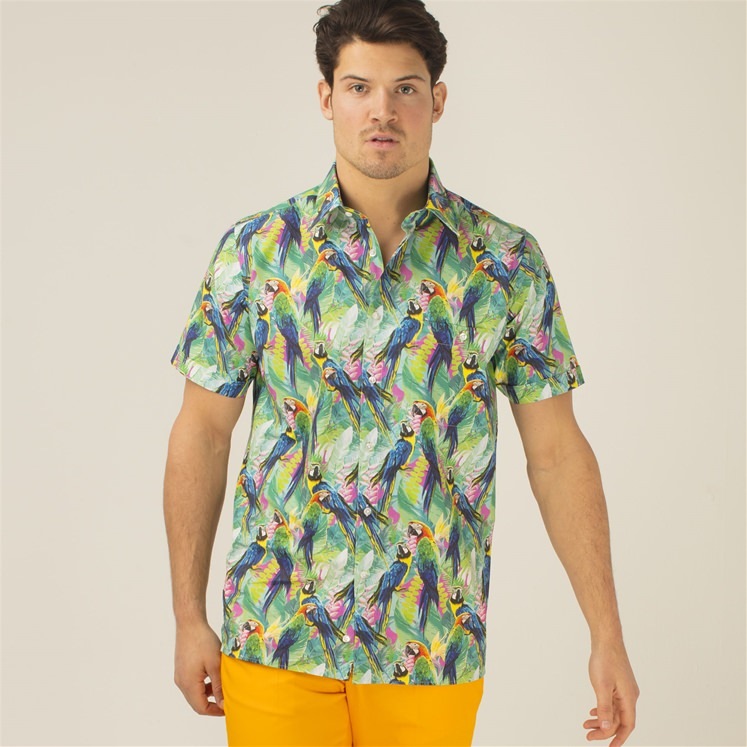 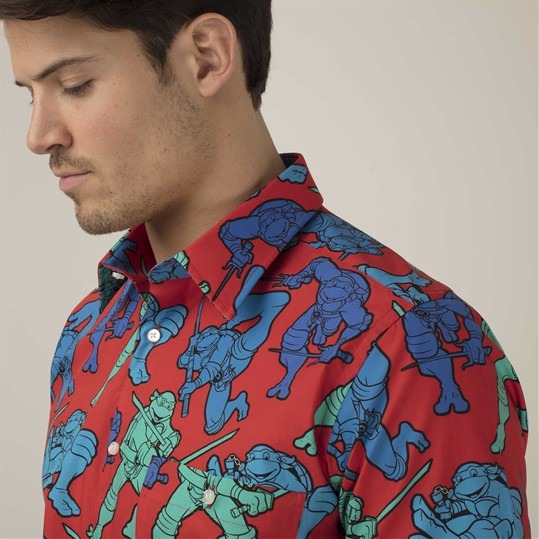 Shirt has a really vibrant & tropical design and is great for the summer months. 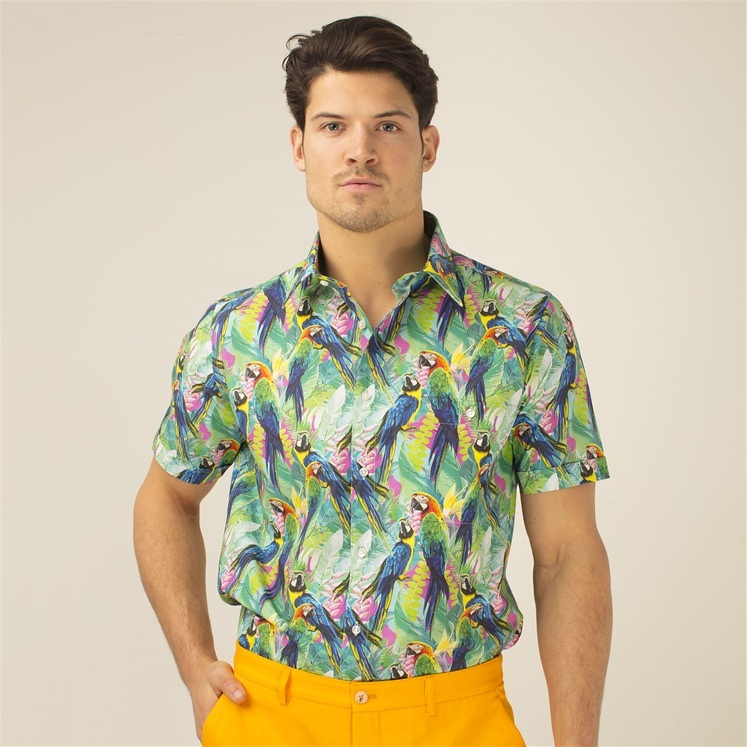 This shirt has short sleeves, a Kent collar, side vents and a chest pocket. 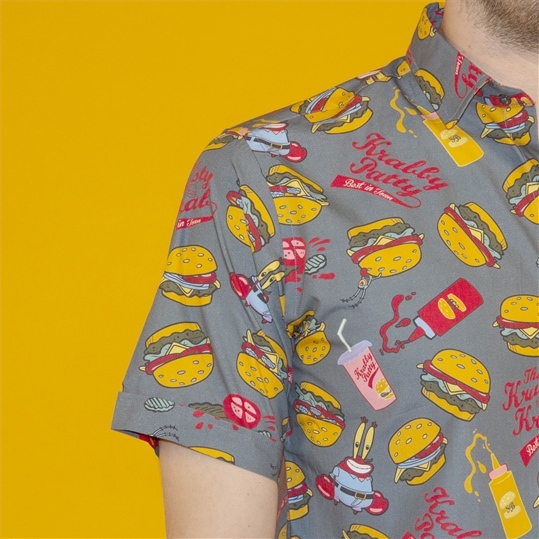 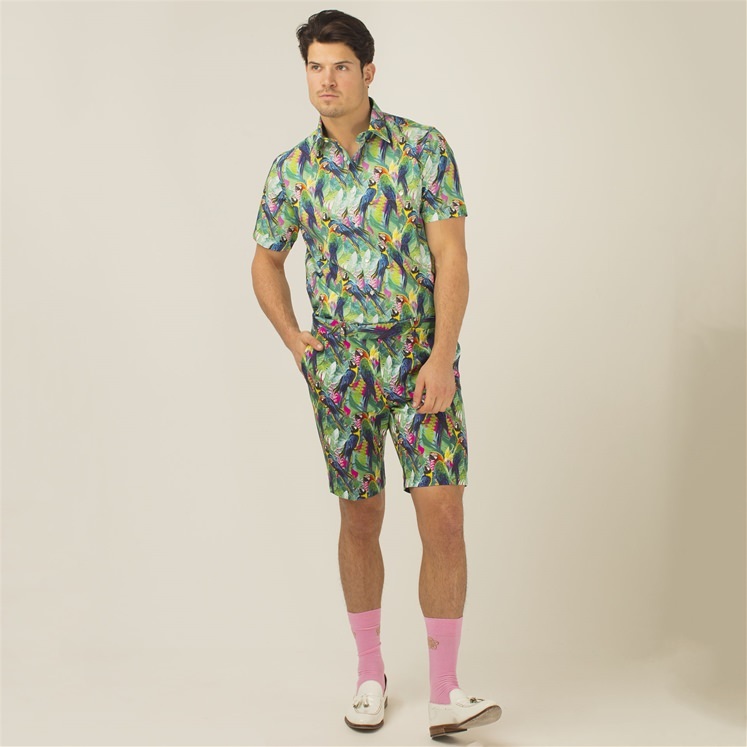 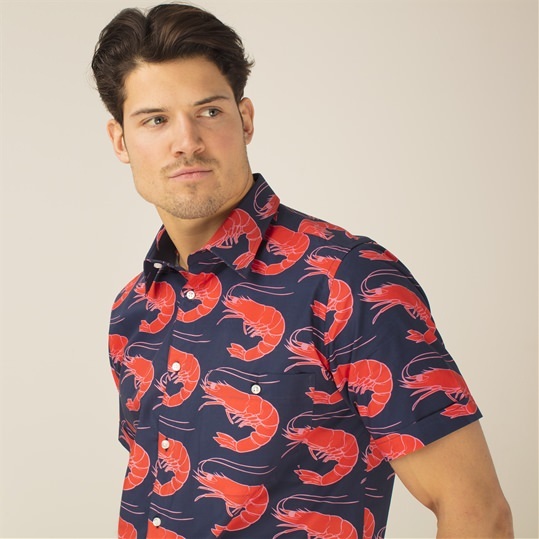 Ideal for wearing at a summer BBQ!